Marvel Television, unlike their stablemates at Marvel Studios are very hit and miss as far as translating their characters goes. So far–when they’ve dealt with ‘street-level’ characters like Agents of S.H.I.E.L.D. Daredevil, Jessica Jones and Luke Cage, they’ve been relatively successful. The problems arise when they try to tackle characters that exist is a more fantastical context than the streets of Hell’s Kitchen (it’s worth mentioning that, budget-wise, Marvel’s Agents of S.H.I.E.L.D. is likeliest the most expensive Marvel Television production thus far) where all roads lead to Inhumans, quite possibly their worst received production yet (including Iron Fist) which seemingly required more in the way of a budget than Marvel Television was willing to spend. Which leads to Freeform’s upcoming series based on Cloak & Dagger. They’re also street-level characters (the story is essentially Romeo and Juliet with superpowers) so they’re not far from what Marvel Television typically tackles. 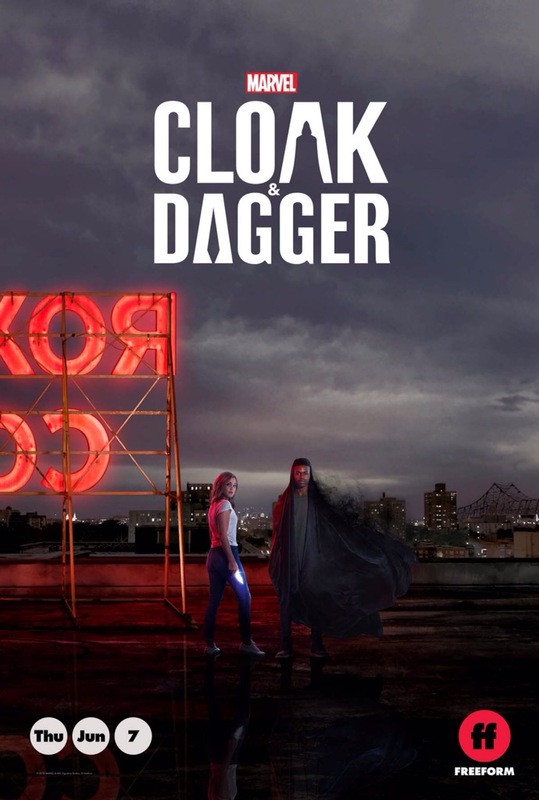 The (potential) problems do with the depiction of their powers–with Cloak being much more problematic–in that on top of an ability to transport himself and Dagger he’s literally a walking doorway to another dimension. And if that potentially weren’t enough of a hurdle, there’s a creature within that dimension that feeds of the ‘light’–which should be equated to ‘life’–of other living beings. Now there’s no way of knowing if the series will stick closely to canon, but for it to not do so would be a wasted opportunity–the creature within Cloak could be treated as the physical manifestation of his own addiction, making his efforts to deny it the sustenance it needs all more poignant. But that’s also not the cheapest way to approach the subject matter, which is where the concern comes in. The greatest single expense of Cloak & Dagger is likely the depiction of his powers, and if Marvel Television tries to do it on the cheap the series will suffer for it. Posted in ABC Studios, Marvel, Marvel Television, My Two Cents, superheroes, upcoming.Tagged Daredevil, Inhumans, Iron Fist, Jessica Jones, Luke Cage, Marvel Studios, Marvel's Agents of S.H.I.E.L.D., Romeo and Juliet.